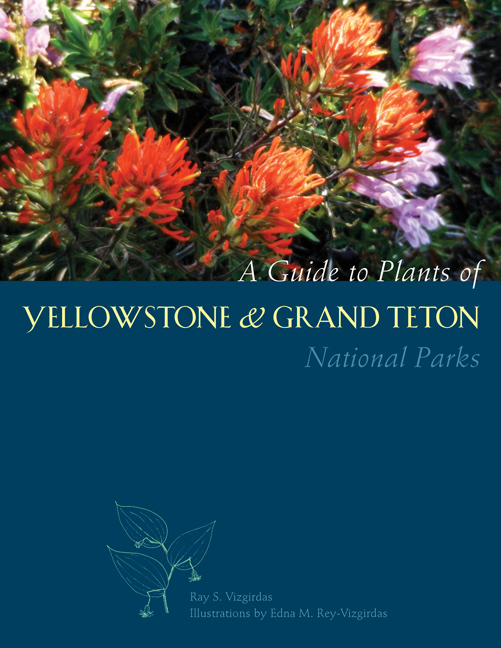 This book is a guide to the vascular plants of the Yellowstone and Grand Teton national parks and the surrounding forest and wilderness areas, the spectacular region known as the Greater Yellowstone Area. Vascular plants are the plants best known to park visitors and include the ferns and fern allies such as horsetails; gymnosperms such as pines, true firs, and spruces; and plants having true flowers (angiosperms) such as lilies, grasses, and roses. While there are a number of references available on useful plants of the West and the Rocky Mountains, none focuses specifically on the Greater Yellowstone Area. This book draws from existing scientific and popular literature, as well as the author’s personal observations and studies over the past two decades. Ray S. Vizgirdas is a professional biologist. He teaches a variety of natural history field courses through Boise State University, Idaho State University, and the University of California, and is the author of several books and articles.